I hope 2018 is your best year EVER. If you have plans… I hope they work out for you. If you don’t have plans, I hope brilliant things just fall into your lap! You can improve your chances of having your BEST YEAR EVER by trying these three tricks. Forget trying to be the BEST YOU CAN BE!! Just imagine what your best 2018 will look like and do that. It is more fun and easier to do. Keep it real. I didn’t imagine me flying my private jet to meet Hugh Jackman… that is someone else’s best year … not mine. Give it a go. Imagining your best life is fun. To make 2018 your best year it MUST reflect your values. I have a tried and true method for sorting out what is important to you. Step 2: Next to each person’s name write three things you like about them. Step 3: Check over your list. Can you group any that are similar? In my example, having fun, doing stuff and having adventures can be grouped together in my mind. Make up your own groups. Clump together things that seem similar to you. These groups reflect your core values. Knowing what is important to you helps you to be calm and confident about the decisions you make. Check out and group your values so that you can consciously and deliberately make decisions that are grounded in your core values. EXAMPLE: My best life will be consistent with these values…. I have two other great games that will help you to clarify how to plan your life around your values. If you would like to see those let me know and I will post them for you. I promised you only 3 Tricks so here is the third. Download Coggle. It is free, easy to use and fun. Start your 2018 Plan. Then click and play. Check out your answers to Trick 1 and Trick 2 and use your information there to create as many arms and actions to the map as you like. I will make one arm for each family member and one for work, home, dreams and health. I will create as many action branches as I like on each. The mind map becomes your plan for Your Best Life for 2018. HAVE FUN DESIGNING YOUR BEST 2018. 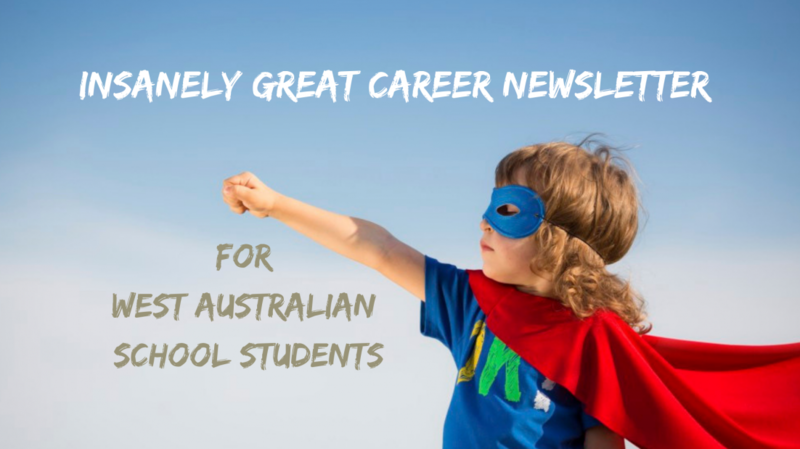 I provide career news and information to career advisors, school students and families. For a complimentary issue contact me. Categories: Career Advice, Planning | Tags: Creativity, Planning | Permalink. The clue to having a successful career in the 21st century workplace is to see opportunities and solutions in today’s challenges and then use your creativity, intelligence and enthusiasm to create brighter futures. When robots and computers can do so much, being human will be your winning edge. I love it when people value me and make me feel as if I belong. Not just family. I love it when the local barista asks about my holiday. I love it when my boss remembers my birthday. I love it when the occupational therapist listens to my Mum’s stories. Ability to listen deeply and respond with humanity will become more important to the success of humans in the 21st century workplace. We are making such a mess of the planet that there will be a MULTITUDE of jobs needed to address the wreckage we are creating. Start now. Invent a way of growing and certifying clean food. Set up a remakery. Design open source circular economy products. Watch out for emerging trends to be ahead of the game. The media makes the world seem like such a dangerous place. The media itself is a dangerous place. Are people really watching us through our phones? Whether it is the fight against hackers or terrorists there is money to be made in protecting people and big business from unwanted intrusion. It’s time to invent a new security door or become an ICT security ninja. When the high speed internet eventually arrives across Australia there will be lots of jobs connecting some things to other things to make new things. In the meantime, the current NBN seems to be taking forever so there could be a long term job working on that. When it is finished the Australian internet speed will be slower than the speed South Korea has already left behind, so you could continue upgrading and improving on the internet speed throughout your career. Whether you are digging an NBN trench or creating a smart fridge that connects to a smart cow, there will be a lot of connecting going on. Go crazy. Think of what could be connected? Connecting things is already big business. Our world is changing faster than at any time in history. We need new approaches and many people to address the problems of today and tomorrow. Categories: 21st Century Careers | Tags: 21st Century Careers, Creativity, Innovation, open source, Work | Permalink. Do you have the mindset of a shipwreck survivor or the mindset of a surfer? Cyriel Kortleven is in Perth giving lessons on how to surf a tsunami of change. He it teaching strategies for creative problem solving that help individuals and organisations to creatively boost their performance through this VUCA – Volatile, Uncertain, Complex and Ambiguous world. He gave a lot of simple strategies that take brainstorming to a whole new level. We were given the question “How can I create change in my organisation?”. Everyone wrote 8 concrete ideas on postit notes. We passed our ideas to the next person in the group who added their ideas to the original ones using a “YES, and….” strategy. Cyriel is Belgian so thought he should put his tips on a beer coaster! One idea was to have a guest speaker come to the workplace to talk on innovation. The “YES, and….” strategy idea was to create a calendar of innovation presentations that would run throughout the year. These two ideas were then passed on to a third person. The practical strategies that Cyriel gave were a good lesson on how to keep surfing as the size and speed of the tsunami builds. Next year when he comes back he is going to build our strategies for learning from Nearlings, those actions we take that don’t quite achieve our goals. He posts quite a bit of information on his site and he is going to forward worksheets and notes from the workshop which I will post here when they come through. Categories: Career Advice | Tags: Change, Creativity, Innovation | Permalink.